Maggie Smith once said that there is an “ephemeral thing about theater, every performance is like a ghost—it’s there and it’s gone.” Luckily, Pennsylvania lays claim to some of the premier places to see such fleeting fancies, whether they’re new on the scene or old Broadway standards. From Philadelphia to Pittsburgh, the theaters of Pennsylvania are waiting to both delight and consume. For almost 90 years, Stagecrafters has brought the best semi-professional theater to Philadelphia. Support local theater, and catch a seriously good show, at this prime piece of Philadelphia cultural real estate. Located in the Masonic Temple, Scranton Cultural Center is one of the best live theater experiences in Northeastern Pennsylvania. Completed in 1930, the center hosts everything from touring Broadway productions to children’s theater to lectures. If you have time, take a tour of the incredible architectural and historical attributes of the building. Between their Lancaster and Branson, Missouri, locations, Sight & Sound presents live, Biblically-themed entertainment to over a million people each year. An intricate combination of technology, live actors, and music creates an incredible theater experience, whether you have any religious affiliation or not. An uplifting, family-friendly visit. Whether you’re interested in a play, musical, or symphony, the Warner Theatre is top notch. Even if you don’t have time to catch a show, this gorgeous, 2,200-seat Art Deco space is worth a gander in Erie. Part of the National Register of Historic Places, the Benedum Center is one of the most beautiful spaces in the entire ‘Burgh, and offers some of the best live entertainment as well. A great place to catch a Broadway show, as well as performances by the Pittsburgh Ballet Theater or Opera. A truly gorgeous space with world class productions, the Philadelphia Theatre Company at the Suzanne Roberts Theatre is one of the nation’s premier performing arts locations. From thoughtful plays to joyful musicals, this theater rivals the best of both coasts and brings quality theater to the heart of Philadelphia. City Theatre bills itself as an incubator of sorts for contemporary theater. With both a main stage and studio theater, the City Theatre Company produces modern shows of substance that you will enjoy in the moment, and think about for years to come. For more than 50 years, Millbrook Playhouse has delivered incredible summer stock theater to Pennsylvania. Each season features four main stage and four cabaret productions, with plenty of variety and loads of talent! With uplifting, Amish-country themed shows, Bird in Hand Stage is one of my favorite places for live entertainment in Pennsylvania. With equal parts talent and humor, this terrific take on dinner theater is always a treat. Milton S. Hershey believed that the more beautiful something is that people are meant to see or use, the more they will ultimately enjoy it. This idea truly comes to life at the Hershey Theatre, completed in 1933. 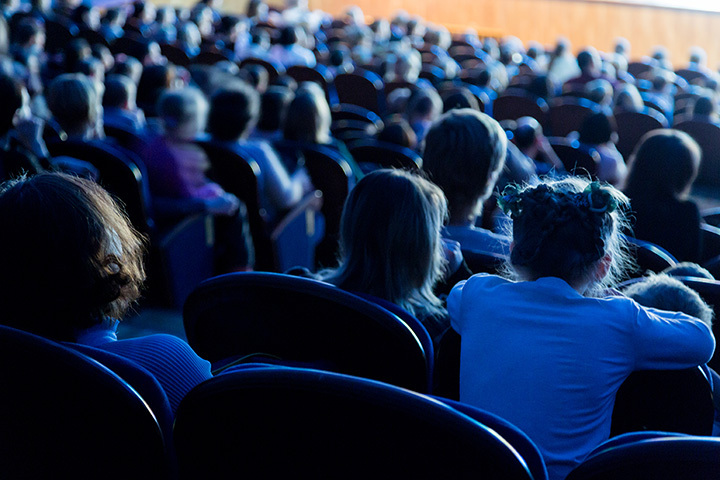 From national touring productions to music to comedy, Hershey Theatre is a beautifully equipped way to take in a show. View more Pennsylvania Theaters and Playhouses.